Round 3 of the Top 16 got underway on Thursday night and while the middle of January is a cold time across many parts of Europe, the quality of Euroleague basketball brought some cheer and warmth to fans. Round 3 got off to a flying start and we can only hope that Friday night’s action follows suit with respect to entertainment. The focus of the action was on Group E on Thursday night with three games taking place. The match between the two teams with a 2-0 record going into this game clashed on Thursday night and it is fair to say that it lived up to hopes and expectations. The home team were trailing by 9 points in the last quarter of the game but they rallied strongly and took the win. A 0-14 scoring run before half-time put Lokomotiv well in charge but Bogdan Bogdanovic was the instrumental figure at the end of the game. The last quarter saw the lead change hands five times and there were four ties, before Bogdanovic and Luigi Datome wrestled control of the game late on. Bogdanovic grabbed 18 points and 5 assists, Jan Vesely provided 17 points and 7 rebounds and Datome offered up 16 points. Bobby Dixon was also involved, offering up 13 points as the hosts moved on to a 3-0 record and sole leadership of Group E.
Victor Claver provided 21 points and 7 rebounds for Lokomotiv while Malcolm Delaney provided 12 points and 7 assists. Other players in good form the away team were Chris Singleton, who grabbed 10 points and 9 rebounds while Dontaye Draper managed to grab 10 points in the loss. This was another game that went to the wire but it was the away fans who were celebrating and this was Belgrade’s first win of the Top 16 this campaign. This means that both teams now have a 1-2 record in the group. 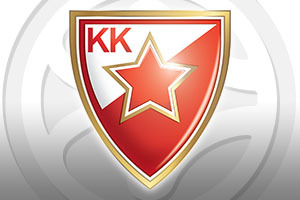 Maik Zirbes provided 12 points for the winners while Vladimir Stimac and Branko Lazic both grabbed 11 points in the win. Stefan Jovic served up 9 points, 8 rebounds and 8 assists in the win. For the hosts, James Gist served up 15 points and James Feldeine and Miroslav Radjulica provided 12 points each. The away team led by 48-59 early in the fourth quarter but anytime they looked in danger, Zirbes and Lazic stepped up and kept them safe. This was a game the hosts were in full control of, and they move on to a 2-1 record in Group E while the losing team drop down to a 1-2 record. In the first half alone, Malaga notched up 1 offensive rebounds and they scored 7 three point shows, leading by 52-31 at half-time. Mindaugas Kuzminskas was in good form, grabbing 17 points, Danuel Diez provided 16 points and Carlo Suarez provided 11 points for the winners. For the losing team, Luka Babic offered up 24 points and Jacob Pullen notched 16 points. There was just the one game in Group F on Thursday night but it was a major clash and no one wanted to take their eye off this one. It was a depleted CSKA Moscow team that took to the court against Barcelona but they came out on top with a strong showing. The hosts were without Nando De Colo, Victor Khyrapa, Joel Freeland and Pavel Korobkoc but they still grabbed a win, moving to a 2-1 record while the away team fell to a1-2 record. The hosts took the lead in the second quarter and they never looked back from this point and when the third quarter saw CSKA take a 76-59 margin, the Catalan club never got within single digits of the game. Cory Higgins grabbed 20 points while Andrey Voronstevich provided 16 points on the win. 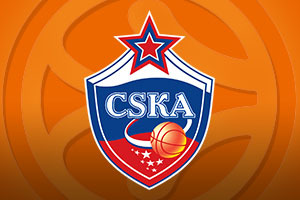 Milos Teodosic provided 16 points and 7 assists and with Kyle Hines grabbing 12 points and Dmitry Kulagin offering up 10 points, the makeshift team provided CSKA with plenty of good moments. For Barcelona, Juan Carlos Navarro led the way with 16 points but he was eventually ejected for two technical fouls. Juston Doellman offered up 14 points, Alex Abrines grabbed 12 points, all in the fourth quarter from three point shots, and Stratos Perperoglou provided 11 points in the loss.